Retail earnings are in full swing, and this week it’s Lowe’s and Target’s turn as two of the big-box retailers report on their recent quarters. The two retailers have had very different years. While Target has surged 27 percent since the beginning of 2018, Lowe’s is up 6 percent and trailing the XRT retail ETF‘s 14 percent gain. Market watchers agree on one thing ahead of their earnings: Target still looks like the better bet. 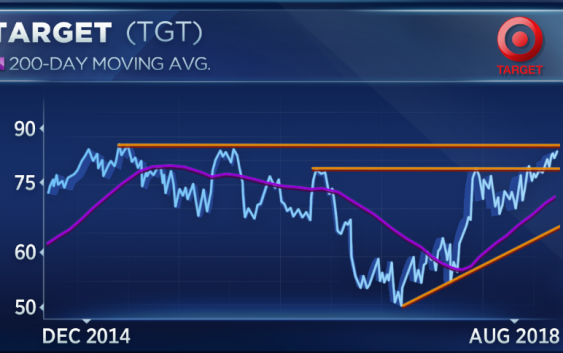 “I’m rolling with the momentum and I’d be a buyer of Target ahead of the earnings,” said Craig Johnson, chief market technician at Piper Jaffray, on CNBC’s “Trading Nation” on Friday. 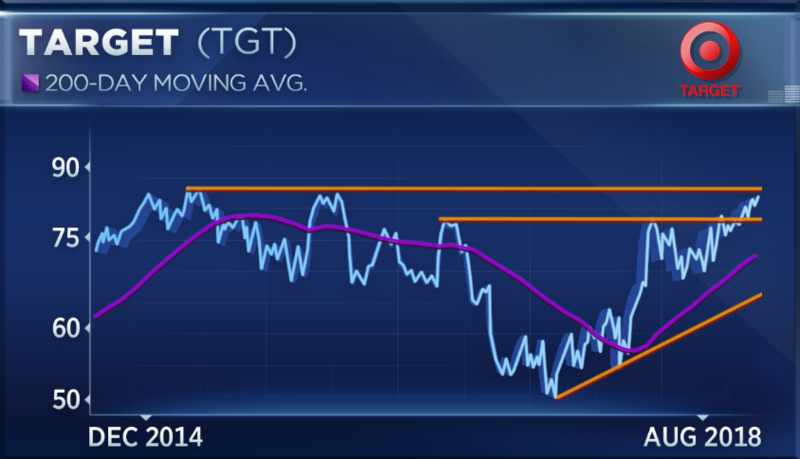 Target shares are coming off their eighth week in the green, a stretch not seen since April 2013. The stock has added 14 percent since the beginning of June. “When you look at the options’ implied move, it’s about 6 percent and, from our perspective, a move above $85 in Target is also going to be a nice technical resistance level to break through and would represent about a three-year new high in the stock,” said Johnson. Target has not traded above $85 since July 2015. Its shares are just 2 percent from that level. Its fundamentals story also looks solid to Gina Sanchez, CEO of Chantico Global. Target has aggressively expanded its same-day delivery options in metro areas over the summer, looking to compete with the same services offered by Amazon. It most recently expanded to Portland, Maine. “Target’s fundamentals story is the story of a company that’s actually doing things and getting rewarded for them so I still think there’s more to move,” added Sanchez. Target and Lowe’s are scheduled to report earnings before the bell Wednesday.